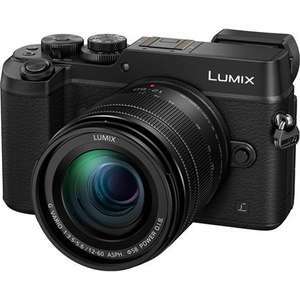 Use code BF17-PANASONIC-100 to discount £100 at checkout, bringing basket price to £599. Includes the 12-60mm lens - better (although bigger) than standard 12-32mm kit lens, and also weatherproof. Black Friday deal means a 32GB SanDisk Extreme Pro SDHC 95MB/s Card (worth £30) is also thrown in. £100 to be claimed back through Panasonic Cashback after purchase. Great price - usually around the £700 mark. You've got an image of the gx8 on the deal and the blurb for the g80 in …You've got an image of the gx8 on the deal and the blurb for the g80 in the text and link goes to gx8. Updated - should have been GX8. So an even better deal Thanks. Haha you updated it as I posted so I deleted my post! You're welcome! Good deal. Mine just arrived from yesterdays John Lewis deal. Seems like a very nice bit of kit so far. Currently you can get an Olympus 30mm f3.5 macro for $99 from the BHPhoto in the US - even after customs it's still cheaper than I've seen it over here.